Whenever family comes to town, there is always a to-do list of sorts. Visiting downtown is always a must, along with experiencing Fort Henry, but shopping always makes an appearance, too. It wasn’t until I had to entertain out-of-town guests that I discovered one of several great flea markets right here in town. 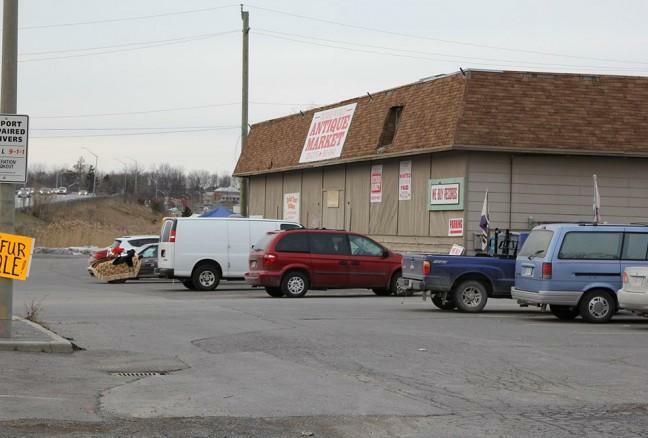 Picker’s World Antique Market 9 is located at 1473 Princess Street in Kingston, right across from the Ambassador Hotel. I’d never paid much mind to it in the past, in spite of my love of knick-knacks and memorabilia. When I did finally decide to go, it must have been close to a three hour visit. 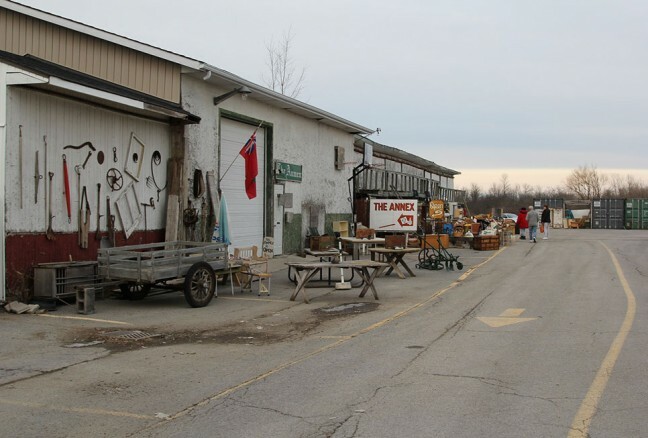 Picker’s World Antique Market – it’s what’s inside that counts. One of the interesting things about Picker’s World is that it is actually a mall of sorts, having several different vendors, each with their own niche. The whole thing spans over four buildings. There is literally something for everyone, and even if you’re not looking for anything in particular, the nostalgic journey you’ll likely experience makes for a fun visit. Some of the unique finds at Picker’s World! 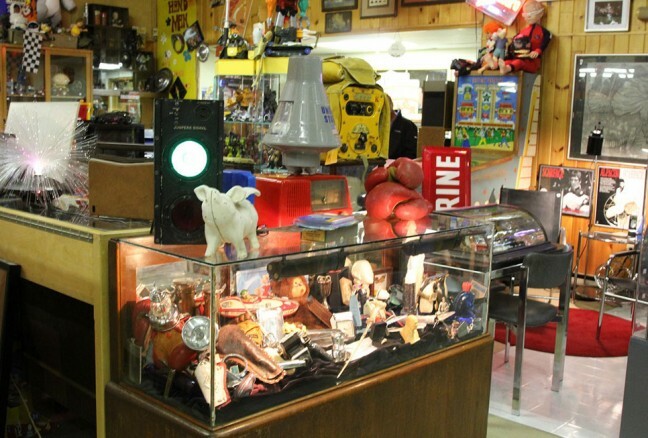 The main building is home to a huge selection of sports and movie memorabilia, art, antiques, toys, and all kinds of different collectables. There are autographed posters for just about every NHL team, and a huge selection of vintage movie posters, which were really neat to look through. There are also new items, but they play second fiddle to all of the collectibles. Some of the different buildings around Picker’s World – you never know what you’ll find. When my family was antiquing in Kingston, they were most interested in two things: antique furniture, and adding to a collection of old-fashioned piggy-banks. They did not leave disappointed, finding some chairs and a few unique banks to take back home with them. 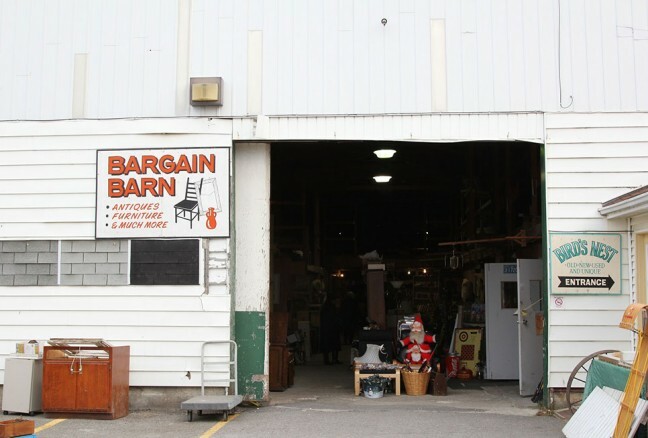 Be sure to check for antique furniture and games in the Bargain Barn! Antiquing as a hobby is becoming increasingly popular, and those people who enjoy it will tell you that it’s not all about making a purchase: the whole experience is what makes it fun. Searching for that perfect whatchamacallit, stumbling upon something that reminds you of your childhood, and bartering to reach that perfect deal all round out the experience. Likewise, rounding out a trip to Kingston wouldn’t be complete without doing some shopping. There are several malls, a bustling downtown core, and an outlet centre. If you’re visiting between April and October, you can—and should—pay a visit to the outdoor flea market in Springer Market Square. The flea market in Springer Market Square is home to over 50 vendors, each sporting their own unique offerings. From old-fashioned jams and preserves, to handmade crafts and jewellery, the square acts as a focal point of activity in downtown Kingston during the warmer months. The next time that you’re looking for something exciting to do in Kingston, it’s a good idea to consider going antiquing. Even if you’re not looking for anything specific, it’s a whole lot of fun to take a trip down memory lane. Every time that I’ve experienced Kingston’s flea markets, I’ve found something that I’d be interested in bringing home with me. If you do decide to go, just make sure you have the room to bring your treasures home with you!